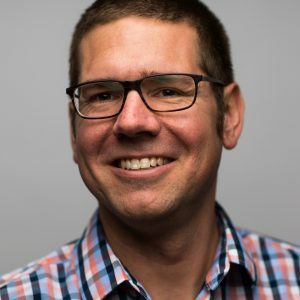 Dr. Brian J. Harvey is an Assistant Professor in the School of Environmental and Forest Sciences in the College of the Environment at the University of Washington. His research focuses on understanding the nature of forest disturbances (e.g., fires and insect outbreaks) – and how forest structure and function is shaped by disturbances, interactions among disturbances, and climate. Dr. Harvey’s work emphasizes field studies that are integrated with large spatial datasets and analyses, drawing on insights from landscape ecology and community ecology. 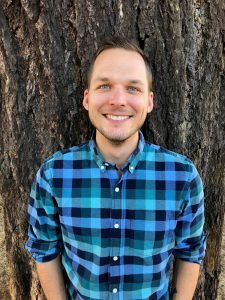 Over the last 10 years, he has conducted research on the disturbance ecology of forests in coastal California, the US Rocky Mountains, and the interior Pacific Northwest. From 2015 to 2017, Dr. Harvey was a David H. Smith Postdoctoral Research Fellow at the University of Colorado-Boulder. In 2015, he completed his PhD in the Department of Integrative Biology (formerly Zoology) at the University of Wisconsin-Madison. Prior to that, he completed his Masters degree in the Department of Geography at San Francisco State University in 2010, and in 2003 earned Bachelors degrees (double major) in the Departments of Geography and Environmental Studies at the University of California – Santa Barbara. Prior to pursuing a career in research, Dr. Harvey worked in the private sector as an environmental consultant and project manager. In addition to his research at UW, he teaches graduate- and undergraduate-level courses in the School of Environmental and Forest Sciences. Michelle Agne is a PhD student earning a joint degree in the Harvey lab in the School of Environmental and Forest Sciences at the University of Washington and in the Terrestrial Ecology Research Group in the School of Veterinary and Life Sciences at Murdoch University. Michelle earned her B.S. in Environmental Science from Western Washington University in 2009, and completed her M.S. in Sustainable Forest Management at Oregon State University in 2013. Following the completion of her master’s degree, Michelle spent four years working as a faculty research assistant in the Forest Health Lab at Oregon State. During this time, she worked on a variety of research that focused on interactions among forest insects, forest pathogens, fire, and management in the forests of coastal and central Oregon. Michelle’s PhD research draws on this background, focusing broadly on changing forest disturbance regimes, and their impacts on structure, composition, and function of western North American coniferous forests. When Michelle isn’t in class or working on her research, you might find her riding her bike around the city, reading fiction, rainy day hiking, or playing board games with friends. 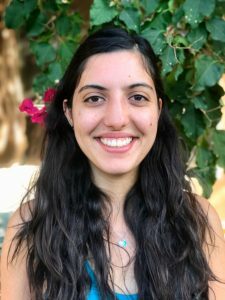 Saba Saberi is a Masters student in the Harvey Lab in the School of Environmental and Forest Sciences at UW. She earned her BS in Environmental Science from the College of Natural Resources at University of California, Berkeley in the spring of 2017, where she completed an honors thesis entitled “Remote Sensing of Global Lake Gross Primary Production.” Saba is interested in using remote sensing methods and GIS along with field studies to study how forests of the western United States respond to disturbances, especially within the contexts of climate change and forest management. A Southern California native, Saba is excited to live in and study the forests of the Pacific Northwest. Michele Buonanduci is a Masters student in the Harvey Lab who is completing her degree through the Quantitative Ecology and Resource Management program at UW. Michele earned a B.A. in Environmental Science from Boston University in 2012. After earning her bachelor’s degree, Michele worked as an environmental consultant and developed an interest in using quantitative methods to explore research questions within the field of landscape ecology. 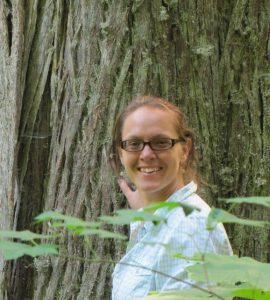 Michele’s Master’s research focuses on spatial patterns of insect and pathogen-induced tree mortality across multiple scales. 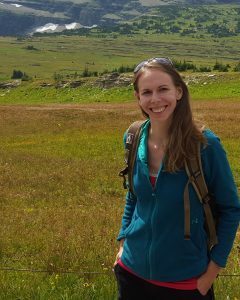 Jenna Morris is a Masters student in the Harvey Lab in the School of Environmental and Forest Sciences at UW. 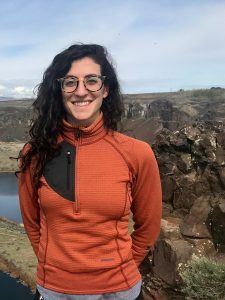 She earned her BS in Biology and Environmental Studies from Whitworth University in 2017, where she completed an independent research study assessing the dominant factors influencing measures of land surface phenology in the Inland Northwest. Jenna’s current research focuses on the effect of past forest management on mountain pine beetle outbreaks and post-outbreak fire hazard. When she’s not studying, Jenna enjoys hiking, reading, cooking, and being outdoors. Luke Semler is an undergraduate student in the Harvey Lab in the School of Environment and Forest Sciences at the University of Washington where he is earning a Bachelor of Science in Sustainable Forest Management. After completion of his undergraduate studies this year, he is interested in pursuing his Master’s in subalpine forest ecology. Prior to his time at UW and returning home to the Pacific Northwest, Luke served with the United States Air Force. When he’s not studying, Luke enjoys hiking, snowboarding, and mountaineering. Amber is a Senior in the Environmental Sciences and Resource Management program in the College of the Environment at UW and plans to graduate with her B.S. in June 2018. 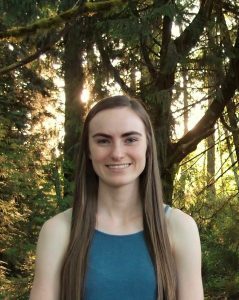 Her focus while attending UW includes forest restoration and management based on ecological forestry practices. She is interested in applying these practices to the Pacific Northwest forests for sustained timber harvesting while maintaining the integrity of the ecosystem services. Amber enjoys hiking, biking, reading, learning about trees, and spending time with friends.